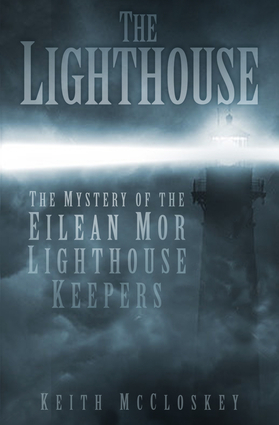 What really happened to the mysteriously vanished lighthouse keepers of the Flannan Isles—a true story, evocative of The ShiningOn December 26, 1900, the vessel Hesperus arrived at Eilean Mor in the remote Outer Hebrides with relief lighthouse men and fresh provisions. Staffed by three keepers, the lighthouse had been in operation for a year, but no light had been seen from Eilean Mor for 10 days. Upon arrival, the superintendent, Robert Muirhead, found the lighthouse to be completely deserted, and a subsequent search of the surrounding island failed to show any sign of what happened to the keepers. The last entry in the lighthouse logbook had been made on December 15, and contained a number of strange and distressing entries that offered clues as to the mental state of the men. One was reported to have been crying, while another had become "very quiet." When it was revealed that the men's oilskin coats were missing and the clock in the lighthouse had stopped, inevitable theories surrounding the keepers' fates were soon put forward. These included a giant wave washing them away, murder and suicide by the men themselves, and more esoteric explanations, as Eilean Mor was believed to have mystical properties. This book explores this mysterious and chilling story in depth for the first time and reveals a shocking conclusion.